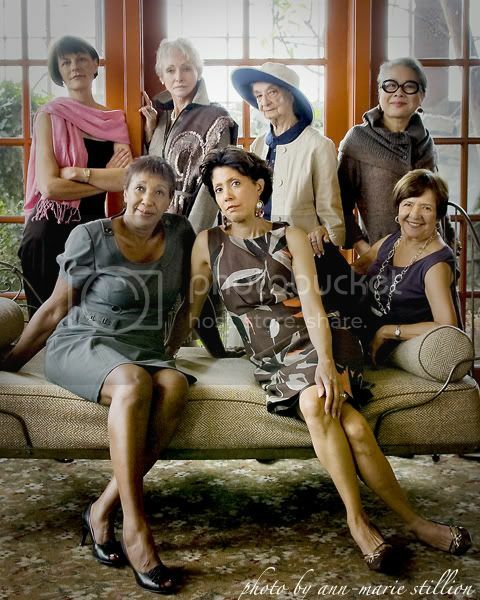 sheen is a group of women over 50 who are pursuing, on their own, dreams of modeling. Mostly they intend to help non-profits raise money or raise awareness that women of any age can be glamorous. I photographed them, joined by my friend Lisa Ahlberg who functioned as an assistant and art director that day. It struck me as I refined the images from the shoot at The Ruins and made final selections how easily we dismiss each other, how we stop looking and feeling at some point, about one another. sheen is fighting stereotypes and being beautiful all at once. Here's to you sheen. I hope you go one being marvelous, for yourselves and the whole world. Totally beautiful and so inspiring! What a perfect shoot for you, Ann-Marie! Brava to all.